The pattern was always there. It was visible to most people. Only the dumbest refused to see it. The role of some journalists in Kargil was and will remain forever controversial. Then there was Indian Airlines hijacking in December 1999. Folks from NDTV and some other Commie journalists provoked the families of hostages into extreme protests and breast-beating to lampoon the ABV govt then. And we tend to forget the greater gory crime of NDTV (Then Star News) during the Vajpayee-Musharraf summit at Agra in July 2001. Even as the talks were on, Prannoy Roy organised an unscheduled Press-meet for Musharraf with many journalists at the meet. He gave Musharraf the chance to lambast India, stoke the Kashmir fire and even dismiss Kargil as not being a misadventure by Pakistan. After he quit office this “War Criminal” Musharraf has been a darling of Hindustan Times, India Today, CNN18 and NDTV on their mindless conclaves and lecture parties. Did we not know? So much, that when Barkha Dutt had nothing else to do she would interview Musharraf. big favour and we should be grateful to him. In an interview to a Pak channel Saeed pointed out his friends in India who further his agenda and said “Not everyone in Bharat is like this – there are good people there too in media and politics. But one segment is against me, my organisation (JuD) and Pakistan. They blame Pakistan for everything; to hide their mistakes, to hide their terrorist faces…they use my name. I talk of Kashmir, but they change the subject and to fool the world they blame me for terror activities. 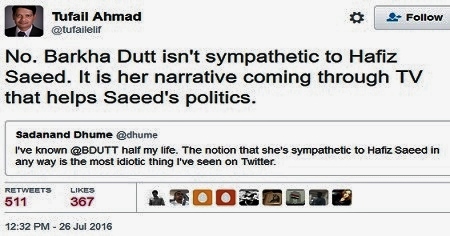 But there are people like Barkha Dutt too in Bharat, who talk well and make sense. Even Congress has recently made a statement asking BJP not to blame Pakistan but to look at how they (BJP) have oppressed the people of Kashmir and committed atrocities. Congress has said that by blaming Pakistan, you cannot solve the Kashmir issue”. I am not sure many of the journos providing “Terror support services” are doing what they do unwittingly. For many years their agenda has followed a pattern. So let’s take Barkha Dutt. How did she get into eye of the storm? You see, she does things on NDTV, then she goes to fashion shows and shoots for covers. She goes to moderate panel discussions in New York over Islam but trashes Hinduism. Did you ever wonder how when foreign diplomats, PMs or ex Presidents come to India they are always on NDTV? That on a channel with hardly any viewership? Be it Hillary or Bill Clinton, be it David Cameron, be it Ann Sang Suu Kyi, Condolezza Rice, or many others? Nobody ever asks this question. Make no mistake – A vast international group of organisations which has political and Chrislamist designs on India have made NDTV their preferred destination for chats because their agenda probably matches. Does our Ministry of I&B (MIB) ever note this? A glimpse into the Chrislamist funding of many NGOs and TV channels will reveal a lot. Because that’s what keeps an eternal loss-making NDTV alive. No business has got so much free funds without accountability. And Barkha’s Kashmir reporting is not the only issue that should bother India about NDTV’s agenda. None less than the SC has slammed the reporting of 26/11 by media as reckless and helping the terrorists which may have cost more lives. Her histrionics and drama at such a time of crisis has not gone unnoticed. A blogger Chaitanya Kunte who slammed her stupid reporting was sued by her but he was not wrong on the facts he quoted in his post “Shoddy Journalism” . And Barkha’s reporting has mostly bordered on shoddy journalism. Almost the entire media, the Congress govt and even the new BJP govt have turned a blind-eye to Radiagate and her role in it. Tinkering with Cabinet appointments with a PR broker (Niira Radia) is a serious offence in India. Arun Jaitely saved her on that too. And Barkha’s penchant for promoting and hosting anti-nationals like Kanhaiya or fake MannKiBaat of Kejriwal all show what her real agenda is. Not a single person involved in Radiagate was even investigated, let alone punished. This is the total failure of none other than the MIB. People writing about all this have seriously dented the credibility of MSM and many agenda-driven journos. But there needs a cleansing of the media and Pak stooges as much as corruption in govt offices does. Turns you off? Every single day bogus, hate-filled articles in the Commie Filth called “The Hindu” turns off thousands. Do you care? Half the articles are fradulent propaganda. Now what is that makes stupid parents in Kashmir force their little kids to stone security forces? These kids should be dressed up, be in school and studying stuff. But this is the lesson that their parents and other organisations are teaching them? 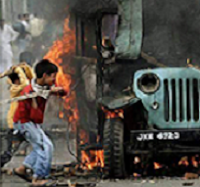 To pelt stones and to thrash even burning vehicles. What kind of kids are these? And what will they turn out to be by the time they are 18-20? This is nothing but creating more Burhan Wanis from the factory of terrorism and stones. Not one shameless journo answers the question of why kids and women are used as shields by the “Paid Pelters” but keep whining about Pellet Guns. Anyone who pelts stones or grenades at our forces deserves to die. Our security forces cannot tolerate this nonsense eternally. Cowards at India Today (DailyO) even deleted an article titled “India must grant Kashmir Azadi from Army”. For what you morons? So that there can be a bloodbath and Pak and local terrorists can rule the roost? But you can read the filthy article here. These are nothing but anti-India, anti-Army traitors and there is no other way to describe such media houses and such writers. They play right into the hands of Pak. Exactly what Hafiz Saeed likes and appreciates. And there are others like the petition signed by the same bogus, anti-India activists claiming “Civil society stands by Kashmir” as if the rest of India stands with Guatemala. All Indians stand by Kashmiris but a majority have decided not to stand with terrorists and stone-pelters. We don’t need a bunch of motivated, paid poodles to tell us where they stand on Kashmir. All media houses must stop giving voices to Kashmiri Separatists or the Hurriyat if they have anti-India or secession as their agenda. Featuring people like Assiyeh Andrabi, who wants an Islamic Khilafa in India, is as treacherous as the lady who wants to break India. Such people should not have any voice on any forum. These paid activists who whine for every terrorist don’t shed a single tear for any of our jawans killed in Kashmir or anywhere else. It’s the job of the MIB to ensure India or her Army is not slandered anymore so brazenly to strengthen the hands of terrorists and our enemies. Any reasonable criticism must only be based on facts. Factless articles and shows must be severely punished. For instance, Cobrapost (I call it Gobarpost) passed a 5-year old video from Kashmir as being from current strife. These criminals incite more violence against our forces and must be punished severely. Saeed terms Modi as dangerous for Pakistan and therefore Pak must help all anti-Modi forces in India. I have no doubts Pak and ISI are already doing it and that’s why you have so many Pak stooges in the media, politics and rag-tag NGOs. And there cannot be any doubts they are being enriched for their pro-Pak activities. He may be a terrorist and a wanted man. But I am, for one, quite happy he said what he did and exposed the traitors in India. He may meet his fate someday but I will have to say that for the pro-Pak “Terror support services” providers in media and elsewhere he is truly Angel Hafiz. And he has done India a great favour by exposing them. 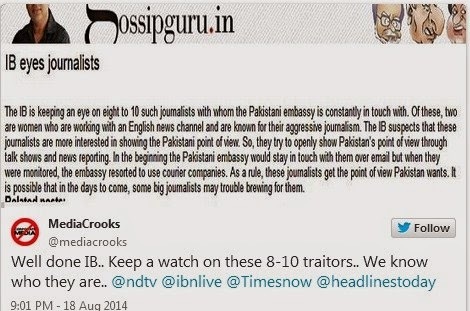 It is now up to the MIB to cleanse these filthy Pak stooges from media and elsewhere. Ravinar if even after this comprehensive article about dangers of many MSMs media totally against India & Modi, Arun Jaitley Venkaiah Naidu Ajit Doval keeps their eyes & ears closed , it is clear India is getting sold now by Indians unlike previous Italian Mafia #Sonia regime. Barkha, the BIG broker is kingpin, nay, queenpin and will facilitate the selling of India to Pak and her sweet Sayeed. All the gang of idiotic intellectuals will get their due share of the spoil. Who will fix them? It seems none in the government including MODI and Amit Shah in the party seem to be interested. Do you consider Burhan wani as enemy of India? Were the protesters protesting in support of the terrorist wani doing a noble cause? Could stone pelting be considered as a peaceful? And I have a specific Question to Kejriwal, you cannot bear a slap, you can’t bear ink thrown at you and you expect Army to withstand big stones and Grenades? Why are you supporting a crowd which is supporting a terrorist which has been declared a MARTYR by a nation that consider India as its enemy? These people, These so called intellectuals, the so called secular journalists and politicians, rises and sleeps under the Blanket of the Freedom that Army provide, and then questions the manner in which they provide it..
As an Indian I am sorry at the count of people killed, but they asked for it. They are guilty of supporting a terrorist. And the count is nothing in comparison to number of Kashmiri Pundits those were slaughtered in 90s..Why don’t I see the above mentioned gang ever talking in support of Kashmiri Pundits..
Ladies and gentleman, please try and understand, It’s an organized attempt to DEMOTIVATE OUR SOLDERS ..It’s an attempt to portray OUR ARMY MEN AS CRIMINALS. It’s an attempt to EMASCULATE Indian Army. I request the patriotic Indians to ask the gang of Army Deomotivators the above mentioned questions. Ask them what is important to you, bunch of anti nationals supporting a terrorist or Indian army which is ready to die for us. Army has defended us a lot of times, it’s time to return favor and defend them against people who are defaming it. Sir, You feel sorry. But I dont. When you support the devil and stand with devil, you are bound to be killed by good. Thats what happened. There is nothing to feel sorry about it. It is the perpetrators who made women and children as shield and hurled petrol bombs and grenades at the Security forces! 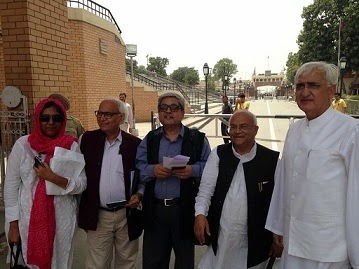 The million dollar question is - why hasn't the BJP ministers moved a blade of grass to ruffle the traitors' comfy nest? Sad indeed. Ravinar, Hats off to you for one more of your brilliant posts which every patriotic Indian should read. I am pretty sure MIB will not take any action against the Pakistani stooges in the media in the name of freedom of expression and speech. A very comprehensive article that addresses the burning question in every patriotic Indian's mind - What is the GOI doing? Why are these journalists being given a free run? The day after Burhan Wani was killed, Rajdeep Sardesai had the temerity to tweet "This action by the armed forces must be considered an act of terrorism". 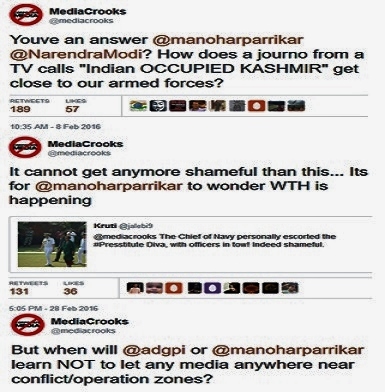 Seems Arnab is the only one who is always on India's side and most other crooks in the media are always against India and supporting the very terrorists who want the great nation to disintegrate and denigrating the very Army men who fight and lose their lives for the safety of the countrymen. I would suggest to pack all these anti-national/commie traitors to where they should actually belong(POK). Arnab is not the only one. Though they are few, do include like Sudhir Chaudhary, Gaurav, Rohit Sardana etc. and innumerable on SM. But what I had told was about MSM not SM. Excellent article. Most people of India are naive and don't understand the sinister designs of such people. That's why this anti-India gang has been having a great time furthering its vicious rhetoric. If people see through their actual agenda, governments will under popular pressure to act against these terror sympathisers. You are doing a wonderful job by disclosing their true intentions and educating people at large. Great work. Keep it up. Does the HM of India have the spine to declare the following. 1.Police can shoot any stone pelter without warning. 2.ISIS migrants will have their passports revoked to prevent their return to the country. 3.Any pro terrorist campaign in the name of FOE or HR will be treated as treachery against the country. The Indian polity is either indifferent to or is absolutely unaware of the dangers posed to the security of the nation by external factors such Chines and Pak axis on the western and Northern fronts and fundamentalists lurking in Bangladesh. Internal factors of traitors with in,vote bank obsessed politicians out to some how grab political power by appeasment politics of minorities or play cast cards and divide the population regardlesd of the permenant damage to the social fabric and of course demographic upheavel due to changes in identities of population and consequent effect on the nation. NDA govt has proved to be inept in handling the antinational media as IB which has kept the suspect media underobservation has not so far found anything incriminating against them and even when they find evidence they dont act e.g Radia tape,journos attending Gulam Nabi Fai organised ISI funded conferences etc have gone scot free. Jaitley (Jai-Italy)'s role should be deeply investigated and he should be expelled out of cabinet. He is protecting the likes of Barkha which will prove very detrimental to India in the short and long term. Why BJP is silent on Radia tapes. All awards given to Journalists during last 12 years must be reconsidered. Modi knows it but either he is too soft or waiting for end 2018 and use all these as ammunition for 2019 elections. You have made strong and valid points. What are Modi's compulsions or reasons? Vajpayee and Advani too made a lot of noise but did not do anything. There is no doubt that NDTV, Aaj Tak, India Today Headlines = are all anti India and anti Hindu. What is more disgusting is when NDTV is making loses every year, how is this company gets funding & salaries paid ?? At this rate of 17 years of loses, it should sink. Put CAG or anyone on this and close the NDTV channels. Even more disgusting is the BJP government is doing NOTHING to pull down these channels & even if required, silence them in road accidents or helicopter crashing in their bedrooms at night, just like as the Italian Bar Maid did for Rajesh Pilot, BJP supporting Kanada actress Soundarya, AP CM Rajasekhar Reddy & many others. Why there is no counter plan or games played. Kick these anti-india breast beating journalists. Another timely hard hitting article. Not only NDTV, AAJTAK, INDIATODAY but also a majority of print media called MSM except a few are all sold souls and anti india and of late the brazenness of Indian Express, Telegraph are samples of the future agenda of the media. These stooges are capable of stooping to any low to ensure Modi doesnt have a smooth time and also for their own funding, and other filthy benefits. Also individuals like Barkha, Sagarika, Rajdeep, Rahul Kanwal, Shekar Gupta are samples of what to come from them. It is appalling to say the least that why the MIB is still idle. It is time to go after the media whoever it is who is insulting the army and the nation and talks pro terror language! If Modi does not take severe action against these criminal gang of MSM and anti national printmedia like Indian Express,Nation Destroynig TV known as NDTV in short,he will even loose his deposit in the next election. Yes,it is his cry for punishing antinationals and corrupt which earned him huge incremental votes! Still not late. Only if Modi and Amit Shah wake up, they can do it! They are quite capable of bulldozing soft opinions! Woner is, why are they silent? Respects! My only worry is what if babus of MIB/ HMO sleep further or give this article a miss, again on such a grave scenarios. Why are they not file treachery cases on these hand ful juveniles who report against Indian Army & who seek Pak's support to remove elected BJP Government (refer Mani Shankar Iyer's request to Pak media & officials). An average Indian thinks that whatever he/she is reading published in news papers are true. He reads it forget. 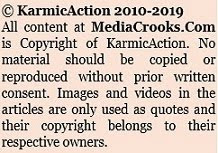 What I suggest and feel is somebody or some group or some organisations have to take part in translating these articles into different languages of India to publish in Local Newspapers and Magazines. Essence of these English articles will not reach the average Indian at all. Only few people read and understand this. Think if these kind of articles reaches even patriot Indian. We can condemn and control the anti Indian propaganda. 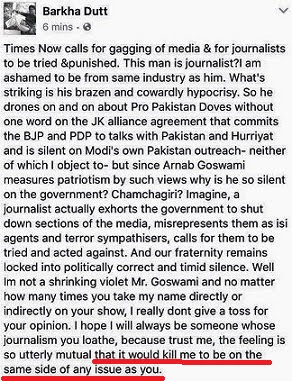 Arnab Goswami is with India and a patriot. Barkha Dutt on her own admission just opposite of Arnab Goswami. Everybody knows on which side that woman stands. Shamless filthy woman. Yes, many of us who have observed the activities of Barkha Dutt, Prannoy Roy, Rajdeep Sardesai and his wife Sagarika Ghosh among others, know very well their motives. They have a narrative and cherry-pick facts to suit their narrative. There are dozens of pseudo-journalists apart from these well-known ones who pander to Pakistan's views on Kashmir and may well be on ISI payroll like the lot mentioned above. What's surprising is that neither the erstwhile UPA Govt nor the present NDA Govt have acted on these traitors. It's apparent that these pseudo-journalists have "contacts" across political parties, and remain "safe" no matter which political dispensation is in power in Delhi (Union Govt). Hence, it's up to well-meaning people like Ravinar to expose the hidden agenda of these pseudo-journalists from time to time, so that people do not fall for their deceptively clever narrative expressed in their TV debates / programs / seminars. No,Hafiz is not implicating Burqua, there are corroborating evidence of millions of Indians experience that she is the darling presstitute agent of Pakistan's terrorist handler Hafiz. I like so many others feel cheated by the inaction of govt despite having unassailable mejority.apeacement theory unfortunately continues.if you had marked this brilliant stuff to pmo hm etc it only go waste.congratulations on a super write up. 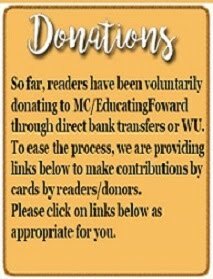 Great article Sir! I think there can be an easy solution to this problem. Invite these journos during the daily army activities and finish them off as casualties. Everything is fair in love and war. These anti-national Presstitutes and pseudo seculars have become so blatant and totally shameless that I cannot imagine in my wildest dream that MIB and Narendra Modi and his ministers would not see what we common Indians can see even with our eyes closed. My only thinking is, they must be doing "Cost and Benefit" analysis. They must be counting number of commentators attacking almost all anti-BJP, anti-Modi, anti-national articles vis-a-vis supporters of those articles. They must have come to the conclusion that just by giving long enough ropes to these hundred, two hundreds 'traitors' rest of India will be united against them and the parties they support. And this really is happening. Only thing, some of us very frustrated Modi supporters should not give up on him. People placed a lot of hope on Vajpayee and Advani but they turned out to complete duds. Let us see what Modi fares. So far he is just a lot of hot air, big speeches. The sly Lutyens cabal of BJP seem to be running the show. A lot of BJP guys are clueless. Modi is new in Delhi's labyrinth but hopefully he will learn and act before it is too late as 2019 is approaching. He is the only hope. I would rate him 6/10 so far. Modi is an outsider in Delhi. Remember Bihari-Bahari debate at the time of Bihar election. Biharis rejected Modi and voted for their own parties. Even in Delhi, Modi was rejected, they preferred Kejriwal, who is their own man. The entrenched political establishment in the capital is not going to give up their privileges, for an outsider. It has happened earlier with Morarji Desai, with Narasimah Rao. People have a different mind set in these places, they don't mind dancing balle balle on 15 August on Indo-Pak border, they make Indo-Pak love movies like Veer Zara, they want Pak artistes to perform, they want Ghulam Ali. They just cannot understand how people can oppose cricket with Pakistan, how anyone can oppose Ghulam Ali. Pakistanis are like their own brothers and sisters, so whatever may happen Kargil, Kashmir etc, people from rest of India are outsiders, Pakistanis are insiders. About 70 years of build up of anti Hindu idea of India, where foreign tribals rule grand imitative holywood, barmaid rules a political dynasty of 100 years, macaulayan putra putries are just waking up, where they can not pull off even a single encounter of eliminating a known terrorist anticipating any hell breaking out, I would not pick on snakes without figuring out anti venom remedy.But otherwise Joshipura's analysis is the natural and matured political roadmap for Chankya era. In the film Lawrence of Arabia, Auda Abu Tayi (Anthony Quinn)'s question to Colonel TS Lawrence (Peter O'Toole) talking of Arabs: "Arab? Which tribe is that?". Hindus? What is that? People are identifying themselves as Dalits, Brahmins, Yadavs, Kurmis, Kshatriyas, Banias, Biharis, Bengalis, Tamils, Malayalees, Panjabis ....... first. Sickulars, presstitutes and the conversion machinery understand and exploit these divisions. The unifiers like the armed forces and the RSS are demonized. I totally agree. In RSS there is never a talk or differentiation on Caste basis. I cam to know about Bangaru Laxman as an SC only when he contested from peddapally constituency. I met him in many Shakha functions but never we talked about caste. Read Guruji's biography on the internet. Even with cancer he toured all over the motherland 64 times to unite all of us. After Mahbooba Mufti said that Wani's killing is an accident and security forces are not aware of his presence with other militants in that house why should Nirmal Singh the BJP Deputy Chief Minister should parrot it out. I am losing my faith in BJP leaders slowly. Comon man knows that even if the security forces know that Wani is there he would be killed. Period and these leaders don't know where their brains are.